There’s a reason why many Expert Authors are also entrepreneurs – both share qualities that are needed to succeed. In her article, “Entrepreneurs – The Qualities of an Entrepreneur,” Expert Author Victoria Delaney describes six qualities you’ll typically find in an entrepreneur. Even if you wouldn’t describe yourself as an entrepreneur, the qualities Victoria describes are an amazing foundation for any Expert Author who is struggling or is ready to take their efforts to the next step. Guided by Victoria’s list, discover how you (as an Expert Author) can breakthrough to the next stage of your exposure by donning your very own entrepreneurial hat. Have you ever read an article that you could tell the writer merely wrote for the sake of publishing content? This is most often a result of disinterest – lacking passion and drive. Who wants to read something like that? Now, consider articles that held your interest – these articles have been authored by driven, self-motivated experts. Find your motivation, find your passion, and trust in your experience as well as your abilities by allowing yourself to envision your success. Are there bumps along the road? Of course! Are those obstacles enough to give up? Never! Don’t be discouraged if an article you wrote didn’t get enough click-throughs – use this as an opportunity to find areas of improvement and tweak your strategy accordingly. Ask questions, get answers, and persist in your pursuit to succeed – you deserve it! No matter the limitation (e.g., a competitive niche or poor grammar skills), successful Expert Authors find an effective solution to a problem in order to achieve their goal. In a competitive niche? Narrow your focus or try an angle no other author has attempted before you. Spotty grammar? Hire a proofreader. Don’t give into the problem – find the solution that creates the most value* for you by assessing the issue, considering your assets, drawing from options (i.e., what you haven’t tried and can acquire), and then executing a strategy. Don’t stifle your passions or your ideas! If you find yourself staring at a blank page and you have given into that sour pit of doubt (e.g., “What if no one reads my articles?”), then don’t think about it, stop talking about it, and just write! If you force yourself to routinely write, then you will strengthen your abilities and have measurable results to help you improve your strategy. There’s no doubt that you manage tons of other duties in your efforts and all of those tasks can be daunting. Similar to problem solving, delegate tasks that do not need your direct attention and allow yourself to focus on tasks where you can contribute the most value. Be intrigued by concepts and better ways to do things. Attend seminars, webinars, etc. – be an observer as well as a leader to discover new concepts that can be applied to your niche as well as recommended (or critiqued) for your audience. 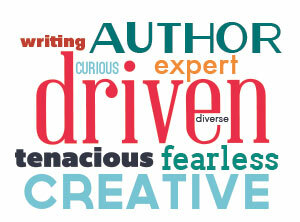 Have the desire to succeed by pursuing your passions and making a difference to your readers. What qualities would you add to Victoria’s list? Let us know – we’d love to hear from you! All great qualities of a successful entrepreneur. Great article Victoria, and congrats on the publicity. Every writer is either a season entrepreneur or one in making. It is these qualities of entrepreneur that drives or motivates authors to publish articles, as a means share their views and ideas with others. Excellent tips to become an Entrepreneur. Tank you very much. Being tenacious is definitely a good entrepreneurial trait to have. Thank you for your thoughts! Vicki, found your article on the home page of EzineArticles! Very impressed! Great article. You are a living example of a great entrepreneur! Great article and valuable content. I will be sure to refer to this as a reminder and when I need to re-fuel.